They will completely transform your center. 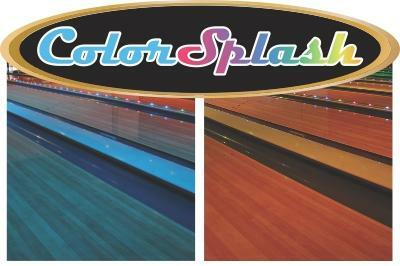 Our LED Lights provide millions of colors and limitless patterns and effects, including ultra-violet for Glow Bowling. Now, imagine a different color on each lane, rather than just Glow. Fluorescent Lights and Ballasts are a pain to change! Convert your lane lights to LED for just a bit more. Our LED Conversions are rated for more then 50,000 hours of use! You will stop changing lights for years! A simple conversion that uses the existing line voltage and the new equipment is magnetic for a clean and simple installation. Our NEW LED Pindeck light is a direct replacement for your current fixture. No more bulbs or ballasts! This LED Light feature a row of white lights for open and league bowling, but switches to a color changing RGB Pin Deck light at the flick of the switch! Is your cosmic lighting show a little stale? Bulbs keep blowing out? Step up to the world of LED Cosmic Lighting. This Galaxian GEM IR features LED Lights as well as a Green and Red Laser.